Looking for a quick guide to prepare for your upcoming interview? The search for a new job is time-consuming prospect that often keeps you at your current role far longer than you should be. Don’t let the interview hold you back any further in time or effort. Use these tips for before, during and after to leverage your interview opportunity for a job offer. Stuck at the job search stage? Let a nearby Jobspring recruiter help. Be concise and to the point with everything you include. Don’t make things sound a lot more complicated than they were. Start with a simple and clear objective. Use the job’s keywords. Tailor your experience for the role that you are applying for. List only technologies and skills you’re comfortable and confident with. Include skill level where applicable to these. Focus on your experience. Doing is better than knowing. Show how you used your skills rather than listing them. Aim to keep your resume to 2 pages max. It’s not a novel! 2. Keep your LinkedIn profile up to date. This is your social resume, whether or not you know it. It’s important to have an updated profile as LinkedIn is probably the most used tool by both employers and job-seekers. You're more accessible to employers and recruiters the more accurate and relevant your LinkedIn profile is. Give employers the chance to come and find you first, or pro-actively apply to their jobs on LinkedIn to set yourself apart. 3. Know about the company. Make sure you have as good of an understanding as possible of what the company does, and what some of their products are. When it’s your turn to ask questions, don’t be that person. “So, what exactly does your company do?” will turn off your potential employer. You’re interested enough to interview. Act like it. 4. Research your interviewer. Use Google, LinkedIn, Twitter, the company website and any other outlets (Have they spoken at a recent event? Been featured in an article?) See if you share any common connections. Learn more about their background. Employ what you learn as topics of discussion or ways to relate to the interviewer right off the bat. 5. Have examples ready to go. Make sure you have at least 1 or 2 projects that you’ve worked on recently. If there are projects directly related to the role you’re interviewing for, bring these up. Don’t gloss over them either - go into details. Employers like hearing why you chose specific strategies, platforms or technologies. 1. Respond directly to questions. Pay attention to the question that is being asked, and focus on answering that question alone. Do not start talking about a completely different topic. There will be opportunities for you later in the interview to bring up topics that you’d like to discuss. 2. Be honest about your skill set. If you’re asked a question that you don’t know the answer to, don’t pretend to know the answer! Let the interviewer know that you don’t have the answer, but don’t stop there! Come up with a solution to the problem based on what you know about the topic. Employers are often very interested in seeing what type of problem solving skills potential employees have, and to see their thought process. 3. On that note, it’s okay not to know everything. It is not okay to have no initiative to take on new challenges. Employers are probably not going to find a candidate that has 100% of the skills they want. Part of the reason you’re probably looking for a new job is to learn new skills, and most employers know this. Show them you’re able to pick up new skills quickly by proposing a solution to the problem, even without those hard skills yet. 4. Ignore a rude interviewer. Spoiler alert: your interviewers are only human. Don’t let this put you off for the rest of the interview. After meeting with him/her, you may decide this company is not the right place for you. Keep your cool throughout the interview and make a positive impression. You never know when you might cross paths with them again. This is sometimes used as an interview tactic; working in engineering and IT is known to have situations that are high pressure. Some employers want to see how you’ll react in uncomfortable, high-stress situation. 5. Be engaged. 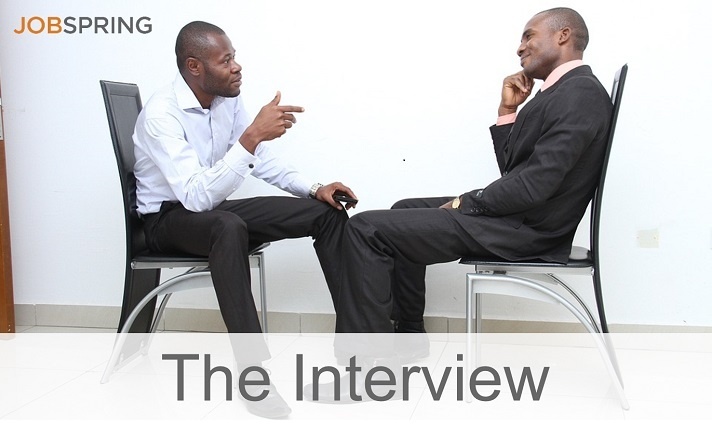 The interview is a platform for the employer to assess your skills, and see if you are a fit for their company. It is also a time for you to figure out whether or not the company is a fit for you. When you are given the opportunity, have questions and discussion topics prepared. You need to show the employer that you are genuinely interested in the position. Start with questions specifically about the company, and the job itself. Leave compensation/benefits questions for later. You don’t want to give off an impression that those things are the only important topics for you. 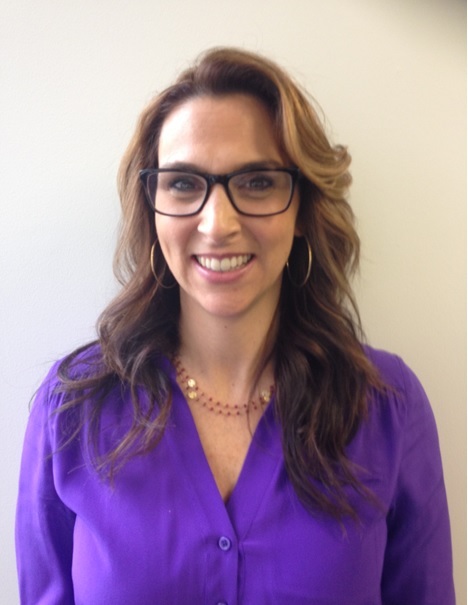 Ready for the interview stage of your job search? Apply to a job here. A short letter is fine. A long letter is desperate. Be personal. Don’t google an outline and skip personal details. Thank the manager for setting up the interview and setting aside time to meet. Also thank any team members in this area. Highlight key reasons as to why you’re interested in the job. Close the letter with an indication you look forward to hearing back, and if they have any questions they should contact you. When you’re in IT, it’s all about approaching systems proactively versus reactively. Why not approach your career the same way? Competent employees can get unexpectedly laid off, office environments can erupt without notice and life circumstances can suddenly call for a change. According to a 2015 CareerBuilder survey of 5,000 candidates, "3 in 4 full-time employed workers are open to or actively looking for new job opportunities." Don't be caught desperate to find a role if you're the one in four not looking. If you're not completely happy at work, be proactive going into 2016 about exploring your options and job searching. Below are a few key reasons why you should be looking for a new role when you’re still at your current employer. How long could you support yourself and your dependents without a steady paycheck? That time frame is the maximum amount of time you have to find an adequate position once you’ve left your current position. If you start looking proactively while you’re still at your current employer, your time frame for taking a new role is exponentially expanded. This way, you can focus on finding a position that you’re excited about and one that will fast-track your career, as opposed to one that will simply pay the bills. Start now by checking out some tech jobs on the Jobspring Job Board here. No pressure, you’re already viewed as an asset! Many hiring managers believe the best candidates are the ones who are actively working. Employed candidates are viewed as being proven assets. Where does this mindset come from? Well… have you ever wanted or needed something so badly that when under pressure, you’ve completely botched your attempt to get it? Unfortunately, this happens all the time during interviews when you’re facing unemployment. On the other hand, if you begin your search while you have a comfortable employment situation, you take significant pressure off of yourself and lessen the likelihood of self-sabotage when interviewing for a new role. 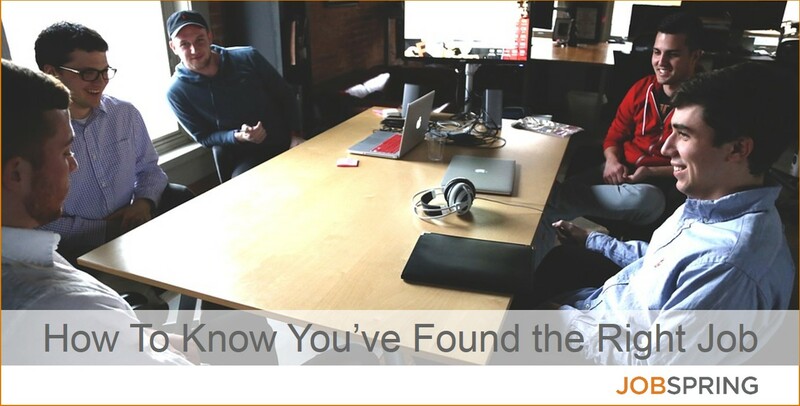 As a passive candidate, you’re interviewing the company as much as they’re interviewing you! The ball is in your court, and potential employers will be more willing to roll out the red carpet for you. Hopefully your skillset will land you a role that will move you in the direction you’ve always wanted to go. If there is a specific technology you’ve always wanted to work with or a cutting-edge industry you're passionate about, this is an opportunity to ask. As a passive job seeker, you can be more selective with the companies and roles you’d like to interview for. You have more control of your commute range, the tool sets you work with and any other job factors that are important to you. Lastly, you’ll have more control of dictating what your final offer will be. Simply said, what will it take for you to leave your comfortable role to start at a new and exciting company? Everything in terms of compensation should line up— don’t forget that salary isn’t everything. Instead focus on the total package the company offers. Not only will you have the upper-hand on getting a higher hitting salary range, you’ll also have leverage to get additional vacation time, flexible hours, stock options and a myriad of other perks that are possible in an offer. So if you’re not in an absolute ideal position, make sure you keep your eyes and ears open to new and exciting opportunities. You can always call a local Jobspring recruiter and tell them exactly what your current situation is and how you’d like to be kicking off 2016! Not convinced? Here are 6 more reasons to start working on your resume now. First and foremost, contracting can be a great opportunity to land your next job, fast track your career, and even give yourself a bit of a raise. When job seekers start a new contract position after switching from a full-time role, it's usually amazes them how quickly the process moves. “Wow… that was fast,” is a common response - but don't move so fast that you forget to ask yourself some important questions first. While you consider the questions below, bear in mind that those who are critical of contract positions may unwittingly provide false information about these types of positions - anything but a full-time job lacks benefits and stability are among common misconceptions. Jobspring Partners actually offers a health care insurance package and PTO, which is a growing trend in companies that hire contractors. A contract role can be an easy and flexible way to gain employment in a fast-moving IT industry. Have kids? Imagine not being tied to a 9-5 schedule. Trying to get your foot in the door with a large company you already applied to in the past? An alternative path to the inside could be through contracting. Find a contract or contract-to-hire position near you on our job board. Know how long you’ll be working on this contract. That way, you’ll know when you need to start thinking about the next contract or the next steps to converting full-time. 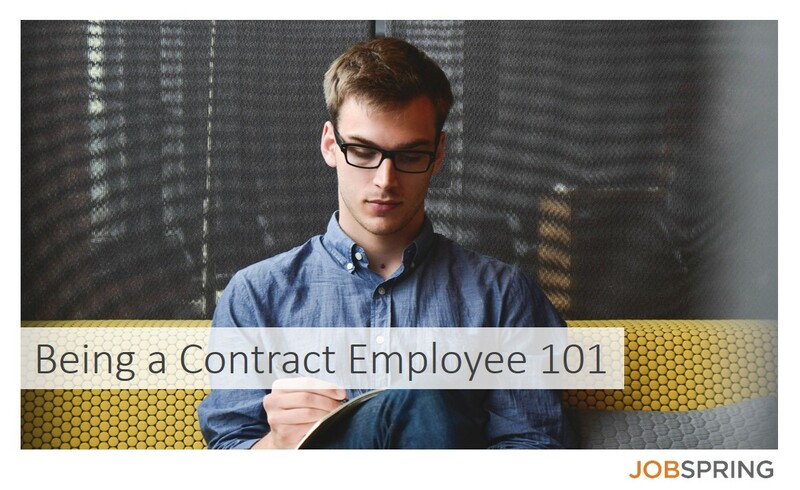 Contract lengths can run anything from 4 weeks all the way to, well, forever. Is this for a project that has been secured? Find out if the business is already won by the contracting company because sometimes firms like to start the interview process BEFORE being awarded the business and have the ability to put contractors on. You certainly don’t want to turn down other offers you had when the job you accepted technically doesn’t exist yet. A simple way of asking is: “If I accept the offer, how soon can I start?” The answer you’re looking for should be a something like immediately, on Monday, or right after your two week notice. It’s tempting to opt for a 1099 since your pay checks are bigger, but that smile quickly goes away when you realize you not only have to calculate how much you owe at the end of the year, but in fact you OWE MORE! You get tagged with self-employment tax which is another 13-14% of your income on top of the taxes you already pay. As a perk, however, you can write off multiple expenses for your work as well (transportation, computers, phone service, etc.) Think about these points before deciding which is better for you. It’s important to know what your options are. Some staffing companies have other projects they will have needs for, and it’s good to know if you might qualify for those. The benefit of using a technology-specific staffing firm is that a great majority of their other clients will have needs that match your skill set so that when you’re done with the current contract, you increase your chances of landing another quickly with minimal downtime. What is the realistic time-frame of converting temp-to-hire? If the job is a contract-to-hire position, it’s a good idea to have an understanding of when you might be converting to full-time status. This sets the expectations on both sides, and ensures that you and your potential employer are on the same page. Typically the timeline can be anywhere from 3 to 6 months. If you find yourself in the eigth month with no talk of conversion, it’s time to revisit the conversation with your hiring manager. What salary should I expect when I accept a full-time offer following my contract role? Most people get a bit nervous when talking about salary and compensation, but it's important to be aware of what the potential salary would look like if you convert to full-time. While it may be an uncomfortable conversation to have now, it’ll save you a headache down the road. You don’t want to find yourself having worked 4 months into a contract only to find that the salary they are thinking isn't close to what you were expecting. Of course, it’s important to be realistic as well. If you are a W-2 employee getting paid $45/hour, you should be considering a base salary of around $90,000 (inclusive of benefits and such). Have more questions about being a contractor? Ask a Jobspring representative near you. For a first-timer, a contract position can look intimidating. Don’t let that stop you from considering the opportunity and asking the essential questions before coming to a decision. Working with a recruiter can take some of the uncertainty out of the equation if you're unsure, but it comes down to getting all the answers you need in order to make the right decision. It's true, the job interview process is an arduous task in today’s society. There are many obstacles that frequently catch job seekers off-guard and cause great opportunities to crumble. One of the most important, and daunting parts of the interview process for software engineers is the technical interview. Accurately preparing for one of these is extremely important in order to get an offer from your company of choice. Technical interviews are often quite rigorous and can push talented engineers to new levels of critical thinking and assessment. So, you ask, "How do I ultimately prepare for the technical interview?" 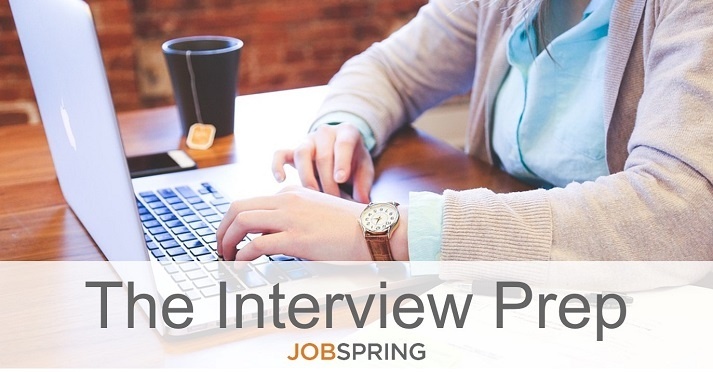 Work with Jobspring Partners to find a position you want to interview at. Be Ready to Whiteboard: This is generally a go-to interview tactic for tech companies to evaluate engineers during the interview process. It’s always smart to practice solving technical questions on a white board to see how your brain operates/critically thinks when not in front of the computer. Brush Up on Core Principles and Basics: Always make sure to brush up on any programming languages that may be rusty. Expect to be asked questions ranging from the fundamentals of certain languages to some higher-level concepts. For example, if you are interviewing for a PHP job, it is helpful to brush up on the fundamentals of the LAMP Stack and the MySQL Database. Bring Code Samples: It’s always a good idea to bring code samples and github profiles with you to the interview. Companies are looking for writing ability and the ability to communicate technical thoughts through code documentation. Don’t be Afraid to Ask Questions: An important part of the process is to ask questions about the role to show that you are interested and engaged. 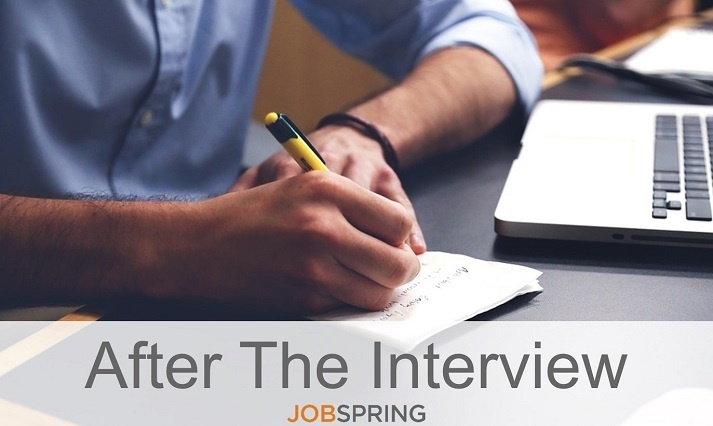 Make sure to prepare 2-3 questions to ask at the end of the interview that show genuine interest and thought. 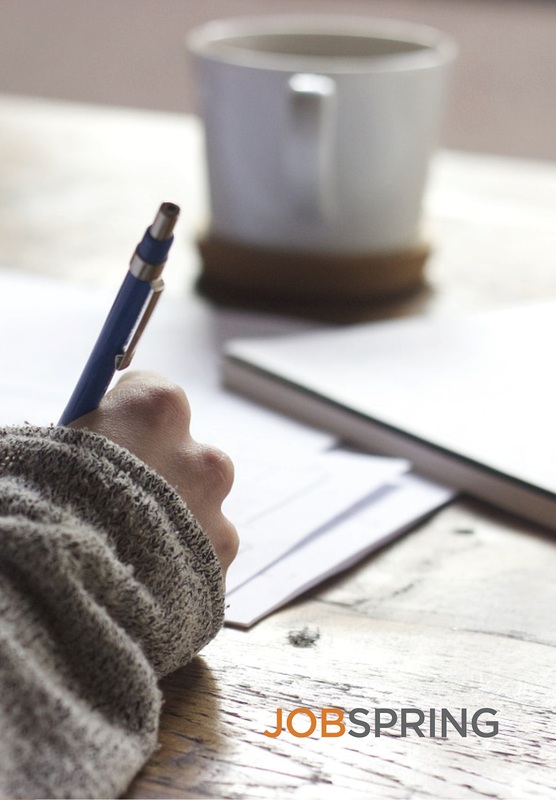 Send a Thank You Note: This is always a good thing to do when you finish any interview process with a company, but it's easy to forget while focusing on the tech. You want the company and the people you met with to remember you for the right reasons. Always address why you would be a good fit for the role and bring it back to the job description and what was covered in the interview. 2014 brought us design trends like: The hamburger menu, pushing the limited when it comes to resolution, and the expansion of in-house design teams. With the end of the first quarter on the horizon, I thought it would be a great time to discuss a few of the design trends we will be seeing in 2015. Ready to hire for your next tech positions? Lean design has been leading the way in recent design trends. This will continue, but as companies and designers continue to hone lean design and how it lends itself to mobile applications, they also need to set themselves apart. In 2015, we will see (and we have already started to) skeuomorphic cues in lean design. Keep an eye out for additional physical presences; transparency and layers will become more common, apps will continue to look flat and conform to strict grids. The focus of design will revolve around movable objects within the screen. In the summer of 2014, Google transposed this design trend on Material Design. I am definitely guilty of (over) using the term sticky or stickiness when talking about design. I like the idea of creating applications that not only engage a user on their first use, but also ones that keeps the user interested over extended periods of times or uses. The more our devices become connected to our everyday lives, i.e. thermostats, home security, or digital experience with our cars, the greater the need is for efficient and effective delivery of information. Slippy UX is giving the user an application designed for “glance-ability”. Coined by Jake Zukowski, Assistant Creative Director at Frog Design, "slippy UX is intended to be invisible-enough and non-distracting enough for the user while still delivering and absorbing information". There are two emerging trends in connectivity, the first being something more apparent every day, even if we are not aware of it. The ability to send information to many devices, syncing with the cloud, and allowing users to maneuver their information has already started to be a driving force in design. Forrester Research found that 90% of users who own multiple devices start a task on one device and finish it on another. In 2015, we will see user experience that functions across all platforms seamlessly, regardless of device or screen size. The second connectivity trend will be an extension of what some of our mobile apps already do: accessing GPS and Bluetooth to respond better to user needs. The combination of these integrations, wearable technology, and the Internet of Things will result in apps that collect data on the user to deliver advice and infer when the device should be delivered. The term to look for here is Ambient Intelligence. With worldwide IT on track to spend a total of 3.8 trillion in 2015, we will see the above trends and many more, become apparent in our every day lives. 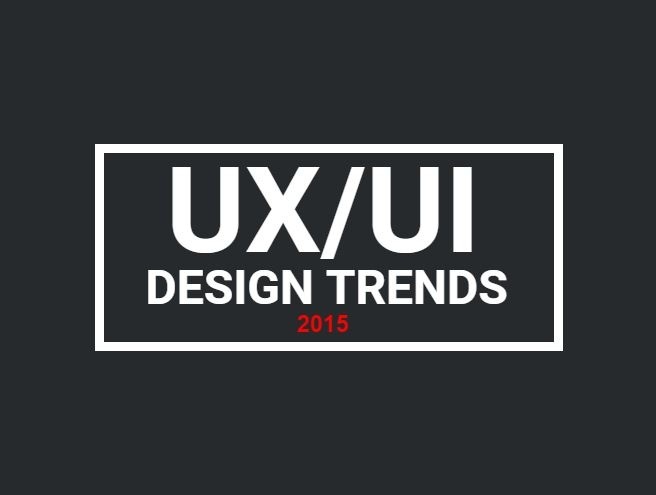 (Gartner.com) What trends are you excited about in UI/UX Design for 2015?